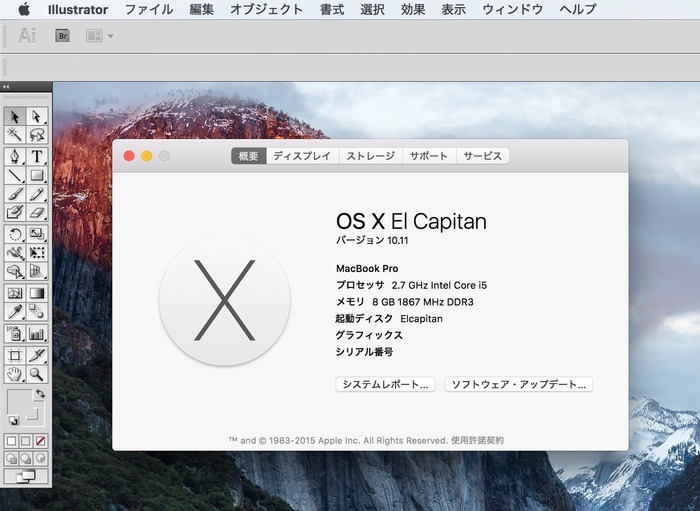 Apple、OS X 10.11 El CapitanでJava 6のサポートを終了することを示唆。 | AAPL Ch. Also of note is that El Capitan will be the last major release of OS X to support Java 6, the software Oracle retired in March 2013 and Apple deprecated in 2010. 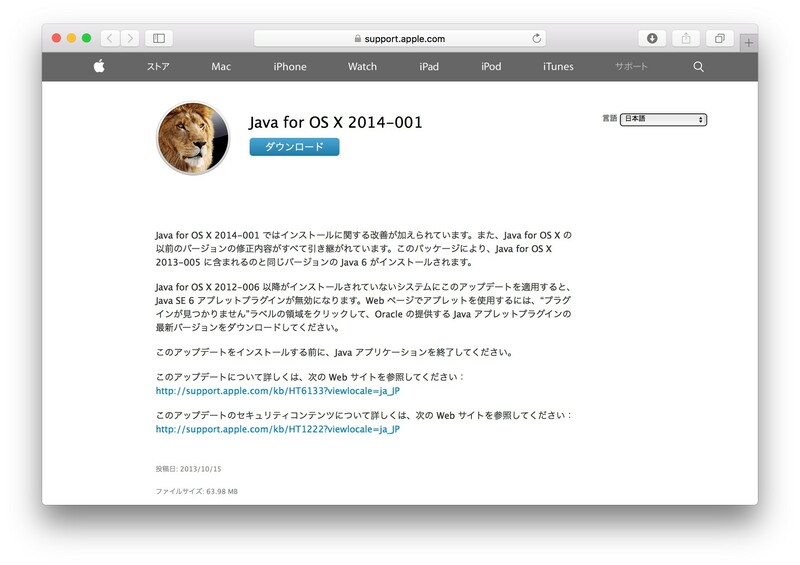 Apple last bundled Java with its Mac OS as of 2009’s Snow Leopard; 2011’s Lion did not include the software, although users could manually install it themselves. 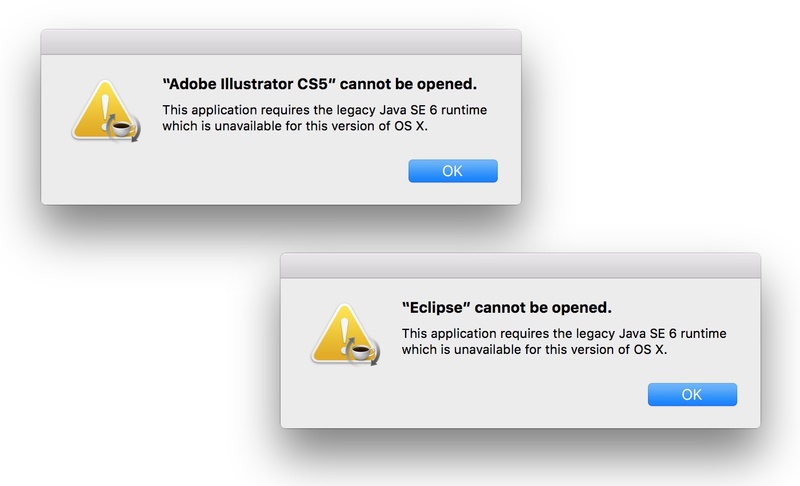 While most Mac users don’t miss Java much, those who use Apple’s computers in the workplace might be stymied with the next OS X if, as promised, the operating system doesn’t support the creaky-but-still-widely-used Java 6. 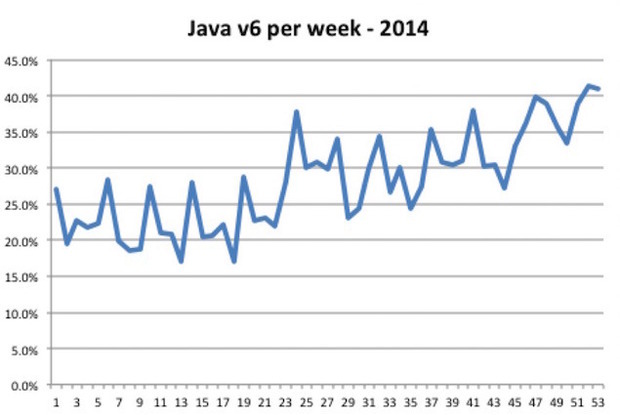 According to Wolfgang Kandek, the chief technology officer of Qualys, Java 6 remained popular in enterprises during 2014. By the end of the year, Qualys’ scans showed that over 40% of all client personal computers — the vast majority of them Windows PCs — were running Java 6.